Photographer Brendan Cullen from Camolin, Enniscorthy, County Wexford, captured this fine landscape picture of this new Mercedes-Benz Arocs 3246 8×4 mixer truck, purchased by long-established Wexford owner-driver and Roadstone contractor Mathew Fortune from Glenbrien, Enniscorthy. 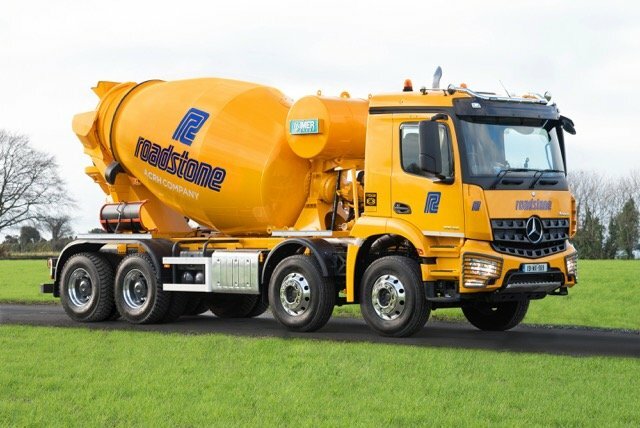 Soon to become a familiar sight on Wexford roads, the new unit will be put through its paces delivering poured concrete mixes across the region and is finished in the company’s distinctive orange livery. Supplied by Camolin-based Mercedes-Benz commercial vehicles dealership Somers Commercials Ltd., the Arocs is fitted with an IFER mixer body from Midland Truck Mixer Parts and features a fully automatic gearbox, air conditioning and cruise control – for enhanced driver comfort. 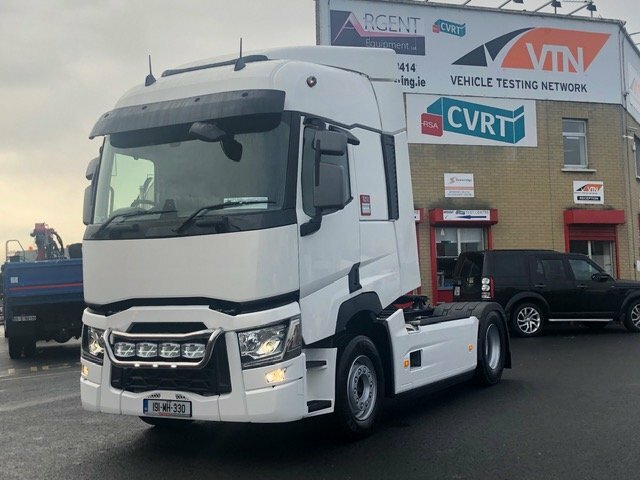 Setanta Vehicle Sales, the Renault Trucks Importers & Distributors has supplied two new Renault Range T 4×2 tractor-units to CJS Transport (Dublin) and Fingal Transport Services (Meath). 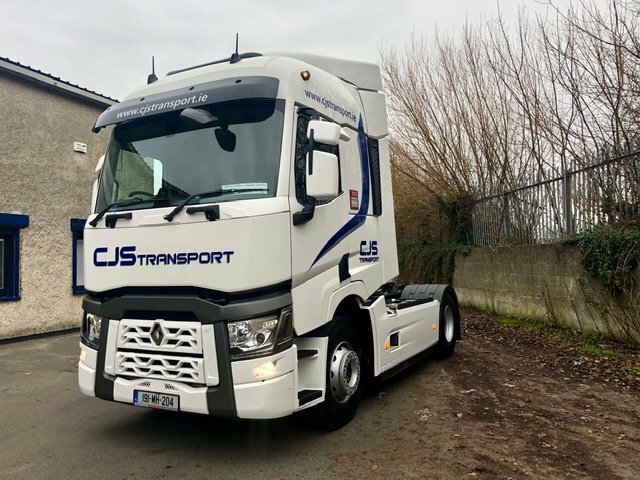 Established over 50 years ago, CJS is a third generation family business and the new T.460 joins a number of Renaults in its fleet. Heated seats and rear LED lighting feature in the spec. Fingal Transport Services, founded in 1996 by the Andrews’ family run business, the new T.480 features some additional extrasincluding Xenon lights, driver comfort pack with heated seats and fully colour coded bumpers.